Up to 40 districts could launch or expand public preschool this fall, opening up spots for up to 1,300 more students statewide. Supporters say it will help those kids be ready to start kindergarten. But the new preschool classrooms could create a serious challenge. Advocates say research has long shown the effectiveness of preschool programs. Sue Reed, the early childhood specialist with the Maine Department of Education, says the goal is to help at-risk students catch up to their peers. In 2016, about 40 percent of Maine’s four-year-olds were in public preschools. That’s above the the national average, and it might be higher but for the fact that it has long been difficult for districts in Maine to launch preschool programs. Traditionally, districts had to wait two years after starting a preschool program before they’d receive any money from the state for it. That forced districts to ask local taxpayers to front hundreds of thousands of dollars, which is a big obstacle for many. In 2012, the Legislature passed a law directing that about $4 million per year be dedicated from from casino revenues to start preschool programs — but lawmakers say that money was never allocated in any state budgets. A 2014 federal grant did help 11 districts to launch or expand their preschool programs. Last summer, a state budget deal added more than $150 million to education, and lawmakers agreed to provide upfront payments to districts to start or expand public pre-K. According to data provided by the Department of Education, some 1,300 new preschool seats could open up across Maine this fall — potentially a 25 percent increase from 2016. “I think it’s going to do a lot of great things,” says Dominic DePatsy, superintendent for the Saco School Department, which is looking at launching four preschool classrooms this fall. DePatsy says he has long been a believer in the value of preschool. Advocates are encouraged, too. Tara Williams, executive director for the Maine Association for the Education of Young Children, say she’s excited about the growth of public preschool and thinks it could strengthen education across Maine. But she says it could challenge an already strained teacher workforce. “We are hearing from other settings, like childcare centers, that they’re finding it more and more difficult to staff their programs and find highly qualified staff,” she says. Williams says traditionally, early childhood teachers in private centers have been paid relatively low wages, and many don’t have the credentials required to teach in a public setting. She says she hopes the state will support those teachers, too. Reed with the state Department of Education acknowledges that it’s hard to find early childhood educators in Maine. However, she says the increased wages in public schools should make the career more appealing. And she says new teacher certification rules proposed by the state should give districts flexibility to move teachers from higher grades down to preschool. But some early childhood advocates say teachers need specific knowledge and experience with childhood development to work with young children. They worry some teachers may not get that knowledge under the new rules. 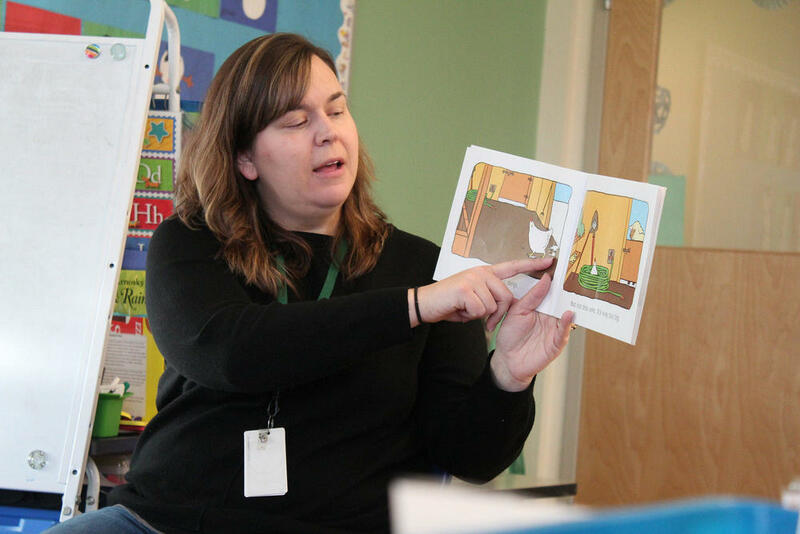 At Chelsea Elementary School in Chelsea, near Augusta, teacher Brittany Kamenos says she has seen the effect of public preschool in her own district. She says other staffers have noticed how mature her former students are. While many officials are optimistic, districts still need to develop their budgets and get them approved by voters and school boards before their preschool classrooms can officially launch this fall.